Handbags and accessories for men and women are the risult of over 80 years experience in fashion industry. Astore designs and creates with artisan abilities leather accessories since 1929. Shoes and handbags in natural leather for women and man, with specific attention for details. Our articles are the result of a careful process going from the choice of materials to the realization of the products, with the guarantee of quality, elegance, funcionality and always following fashion trends. 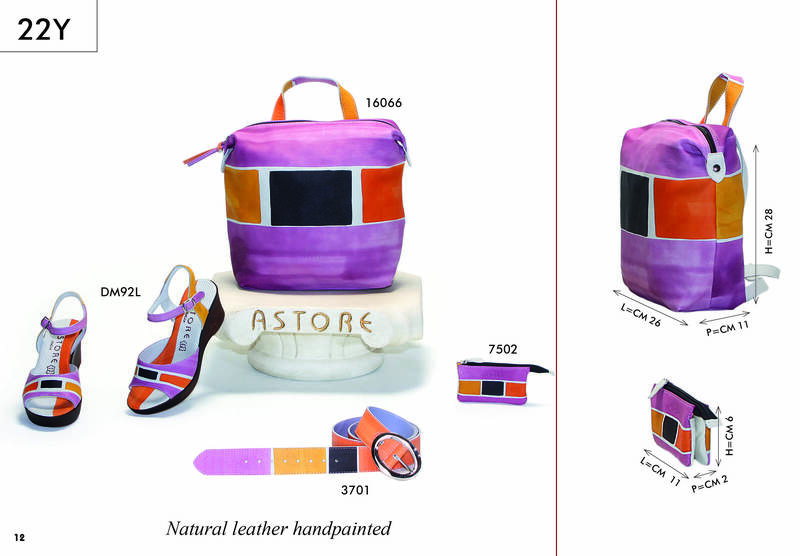 Astore realizes its products with traditional handcraft methods selecting leather of food industry derivation. This leather, after tannery industry treatments, becomes a very high refined material. Hand painted leather handbags, ideal for free time and casual clothes. All handbags of this collection can be purchased with matching shoes, wallets, belts and other accessories. 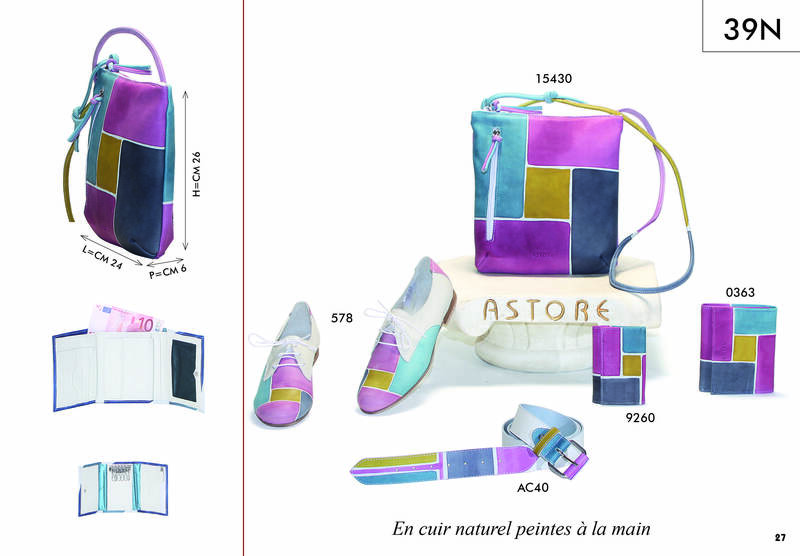 Acquerello line is designed and made only by Astore. Hand painted leather handbags, ideal for free time but also for formal clothes giving them a touch of originality. Business line is unisex so suitable both for men and women, and can be purchased with matching shoes, wallets, belts and other accessories. Business line is designed and made only by Astore. Leather and fabric handbags for women, combinable. One outside part and one inside, available in several colors, to combine creating original handbags. Ideal both for casual and formal clothes. Choose your stile. Printed fabric handbags for women. Postcards form Venice suitable for day and night. 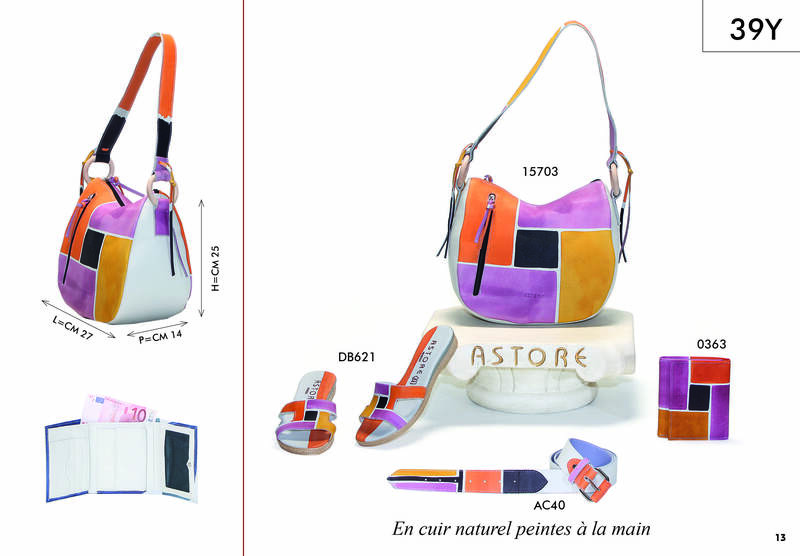 Astore dedicates Venezia Color handbags collection to its wonderful city.